English Electric Lightning F53 at Dumfries and Galloway Aviation Museum. Hawk T2 from No. 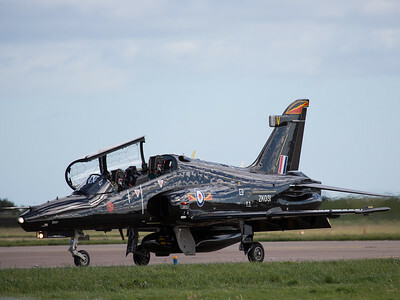 4 Squadron, RAF Valley. 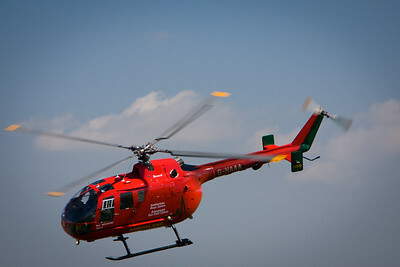 Wales Air Ambulance, Bolkow BO 105. A B-52 from 2nd Bomb Wing, Barksdale Air Force Base, Louisiana, heads south after a flythrough. 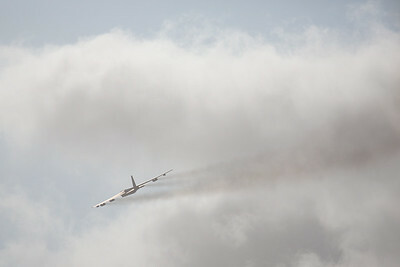 The USAF hope to keep the type operational until 2045 meaning that it will have seen around 90 years of active service. 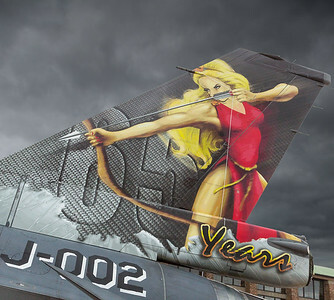 Striking tail art of the squadron mascot by Ted Marcel on a Royal Netherlands Air Force F-16 of 332 Squadron. 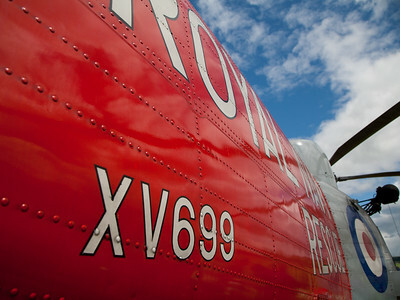 The squadron number honours No. 322 (Dutch) Squadron of the RAF which flew Spitfires during World War II. This is a hand-held in-camera double exposure, exposed separately for the fin and the sky. It almost works. Royal Navy Westland Sea King. 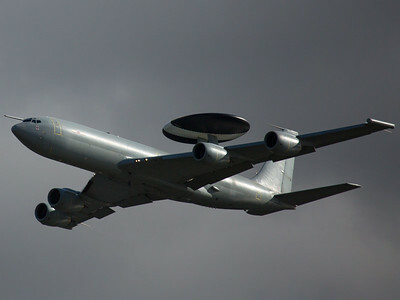 RAF Sentry AEW1 from No. 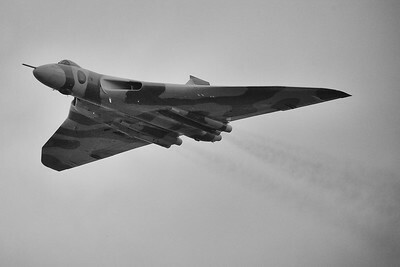 8 Squadron RAF Waddington. Two-seater Typhoon T3 from No. 6 Squadron taxis in on home turf, It is followed by an Armée de l'Air Rafale B.
Flyvåpenets Historiske Skvadron Vampire 'Spirit of the Norwegians'. 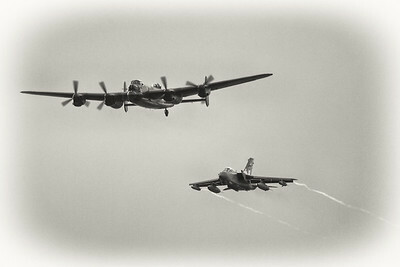 The Lancaster in 617 Squadron markings from 1943 is tailed by a present-day Tornado of 617 Squadron. 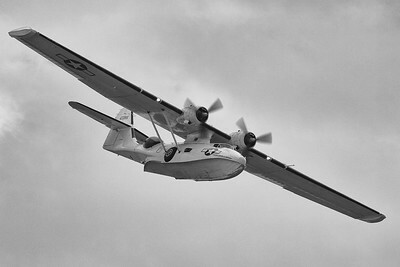 Consolidated PBY Catalina flying boat. 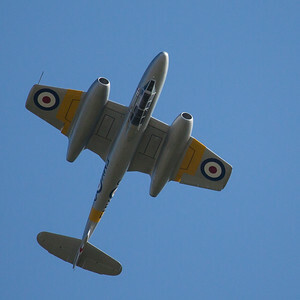 The Gloster Meteor, the first British jet aircraft and the only Allied jet to see action during World War II. 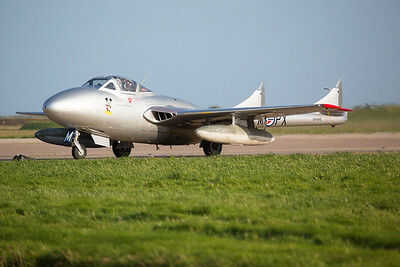 This aircraft in RAF training colours is operated by Air Atlantique Classic Flight. 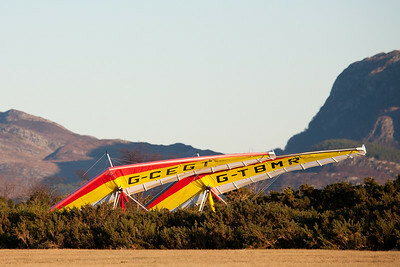 Quik GT450 microlights at Plockton. 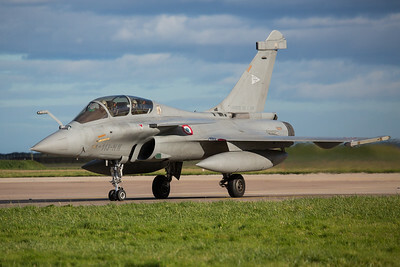 Armée de l'Air Rafale B. The B is short for 'biplace' or tandem. The party's over, It's time to call it a day. 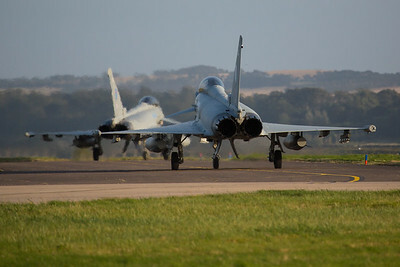 A pair of Typhoons from the nine-ship formation taxi back to their Hardened Aircraft Shelters (HAS) on the southern side of the airfield. 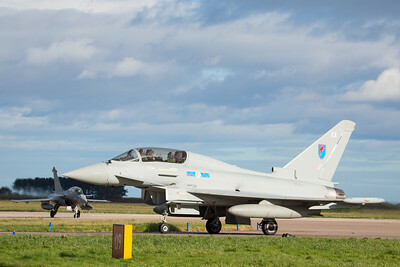 The Typhoons might be back at Leuchars in 2013 but they will no longer be calling it home. 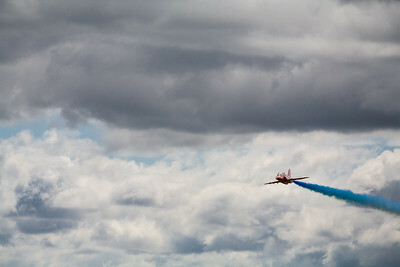 Thank-you to all at RAF Leuchars for the many years of entertainment and pleasure. Good luck and best wishes for the future. For the 70th anniversary of the Dambuster raids the BBMF Lancaster assumed the identity of 617 Squadron Lancaster DV385. 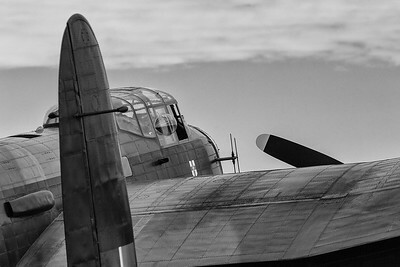 The original aircraft was a replacement for one lost during the Dambuster raids on the 16th and 17th of May 1943. 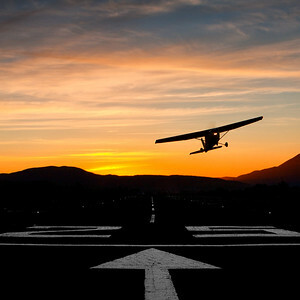 Cessna 172N departing from the Isle of Skye. 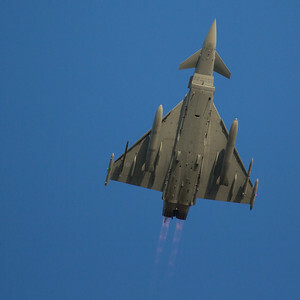 An unidentified Leuchars-based Typhoon lights up the afterburner. 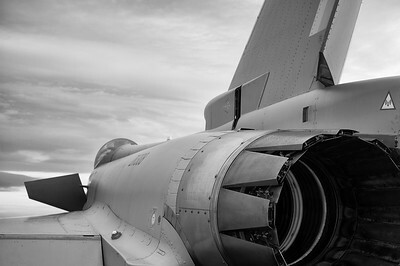 Eurofighter Typhoon at RAF Leuchars. Gear down, airbrakes out and turning in for a slow pass down the display line. 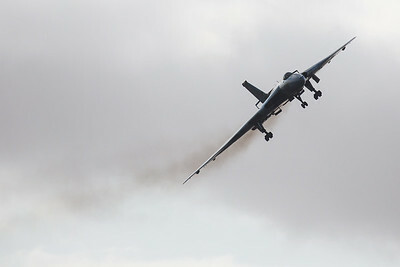 The only airworthy Vulcan and airshow favourite XH558, operated by The Vulcan to the Sky Trust. 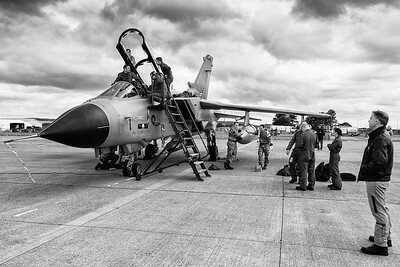 This Tornado GR4 from II(AC) Squadron RAF Marham receives some TLC.